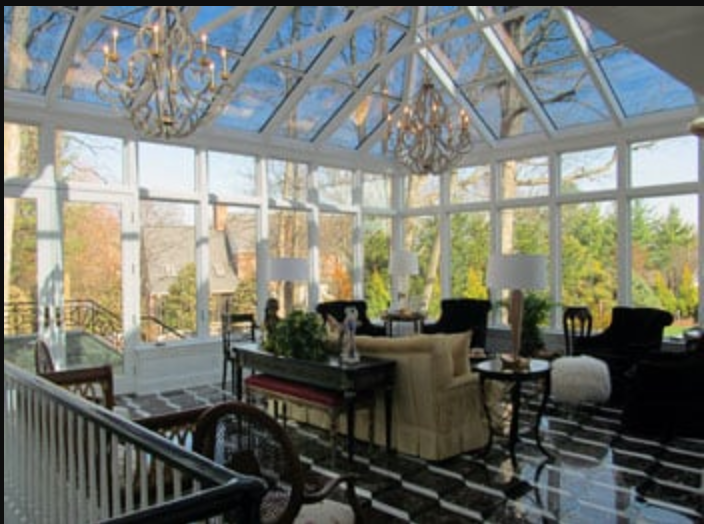 Sunrooms Create an Outdoor Room You Can Enjoy All Year Long! Sunrooms Create an Outdoor Room You Can Enjoy All Year Long, Even in the Dead of Summer with Bugs & Heat, you can still enjoy the outdoors! 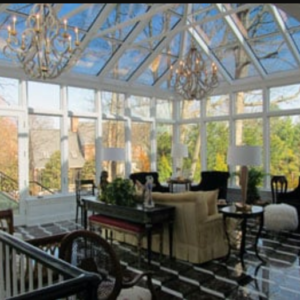 • Nearly half a century of building whole glass structures with a full glass roof. • Technology there that means you stay cooler in the summer and warmer in the winter. • Happy to announce that the room you see today is much more than a sunroom – it’s an addition solution • Less money and quicker to build than conventional construction. 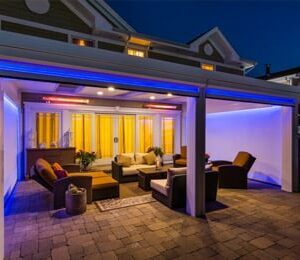 • The use of vinyl and aluminum means you get the best of materials and lower maintenance. • Also these rooms are highly customizable, you can match your style, so that it is part of the home. • Full design and build across the whole country. So wherever you are, whatever your style, whatever your budget. They’ve got you covered. 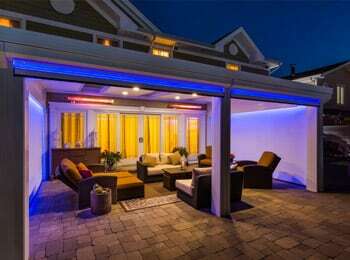 Bring smart technology to your outdoors. Screens that close at the touch of a button. Protection from bugs, harmful UV rays, and allergens. Optional SoftBreeze, CoolMist and infra-red heat technology. Truly enjoy the outdoors all year-round. We’ve talked about how Four Seasons is committed to covering a whole range of both styles and budgets. You know how when you buy a car you can choose the optional extras you want to add, this is what Four Seasons have done here with an outdoor structure. It’s your space, so you’re the designer, but these guys have consultants all across the country that will show you the best way to make it work with your home. Four Seasons just commissioned a third party survey about outdoor living. 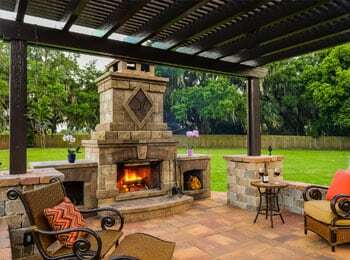 Some really interesting things came out of it: • Nearly 90% of homeowners would like to use their outdoors more, whether that’s for relaxing or entertaining. • Nearly half of the people surveyed didn’t have the time or the knowledge to make this happen. Great news, my friends at Four Seasons have got you covered. Free design consultations all across North America and they’ll spend as much time with you as you need to ensure that at the end of the process you’ve got all the information to make a decision that works for you. 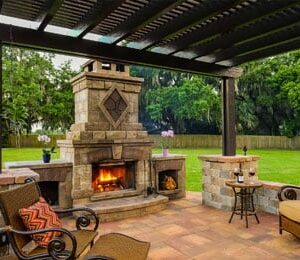 • A pergola from Four Seasons is one of those structures that gives you ultimate flexibility for your space. Fully covered, or lattice covers like you see here mean that you can choose how you’re going to use it • You can see how beautiful this structure is, and it’s a dining space, a relaxation zone, an entertaining space • But these covers cost much less than you’d expect so not only do you get an amazing backyard oasis, you do it at a price that makes sense! Blue Oak™ is a new outdoor brand aimed at providing stylish, high-quality patio furniture at prices that won’t break the bank. Expect more for your outdoors. Blue Oak starts with the latest style and material trends to create furniture that looks and feels ahh…mazing. Rustproof aluminum frames combined with other resort-grade materials ensures each piece is built to last. You’ll enjoy features typically only found in pricey patio furniture stores, but for hundreds less. Blueoakoutdoor.com, a modern, easy to navigate, mobile-friendly website, is full in-depth product information, inspirational ideas, shopping tips and more. BAHAMAS COLLECTION: Coastal-Style Living Whether You’re Seaside or Landlocked. With shapes inspired by the French countryside and texture informed by tropical living, the Bahamas Collection is an elegant and cozy option for the garden table and chairs in your outdoor retreat. The deep seating patio cushions have a sleek, soft finish and dual-density foam for comfort and support. The parquet pattern on the patio table is designed with versatility in mind and can accompany multiple styles of outdoor chairs.